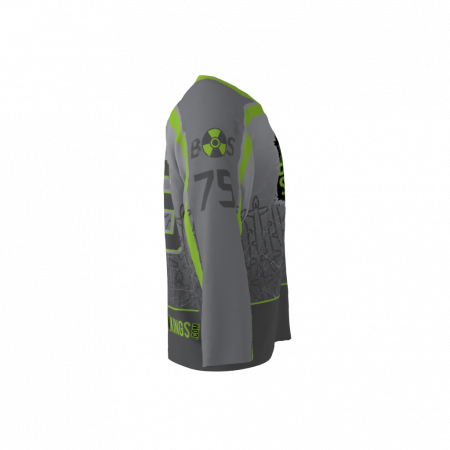 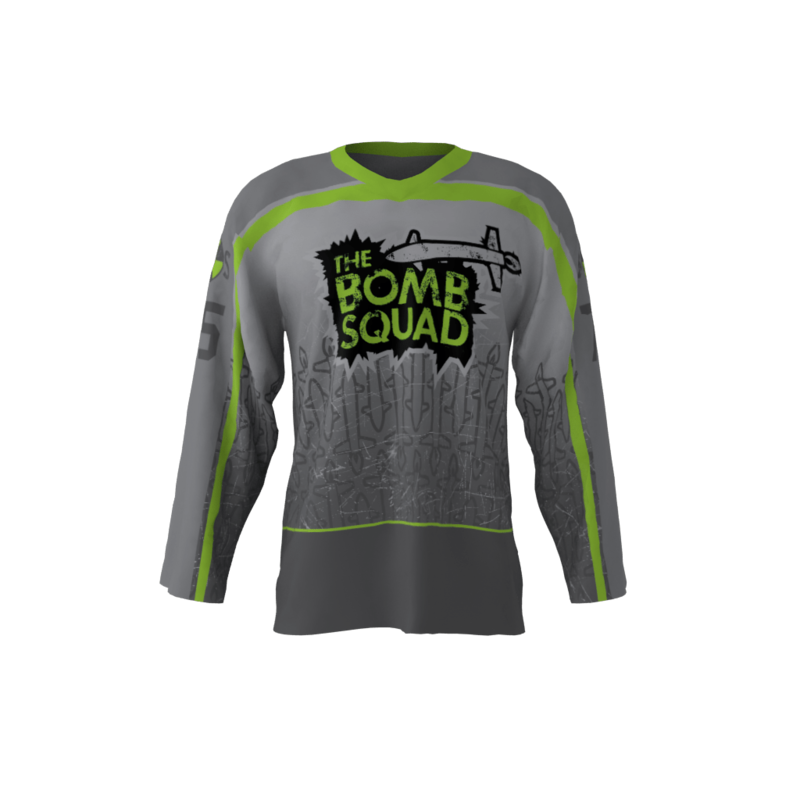 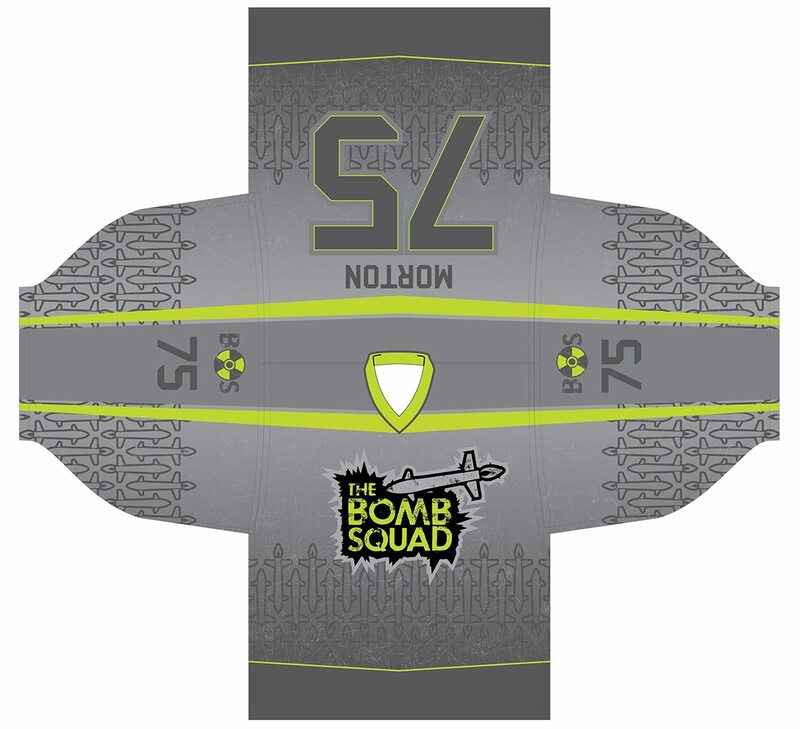 The Bomb Squad gray alternate. 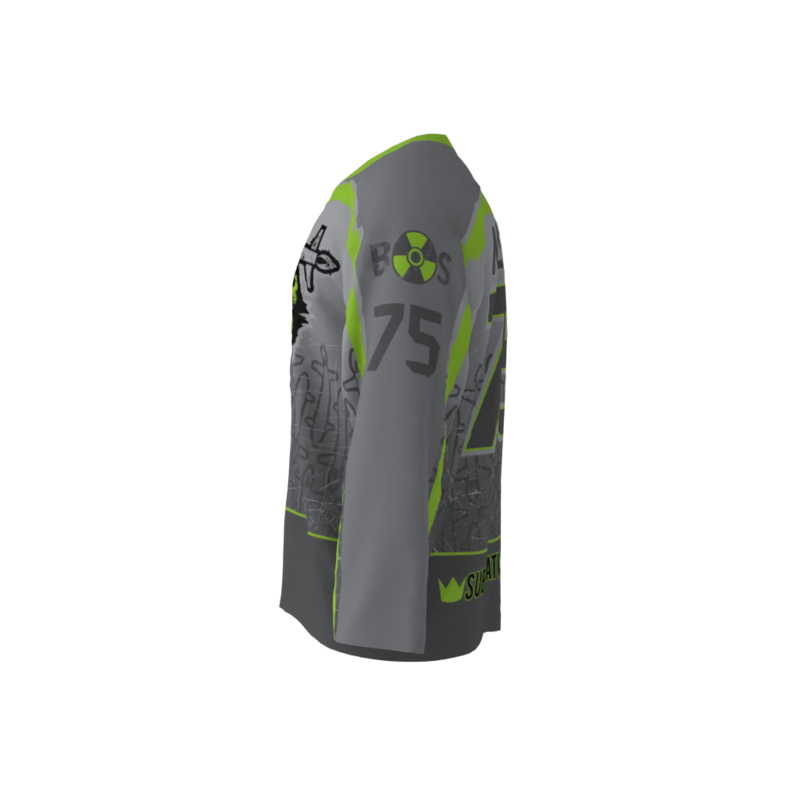 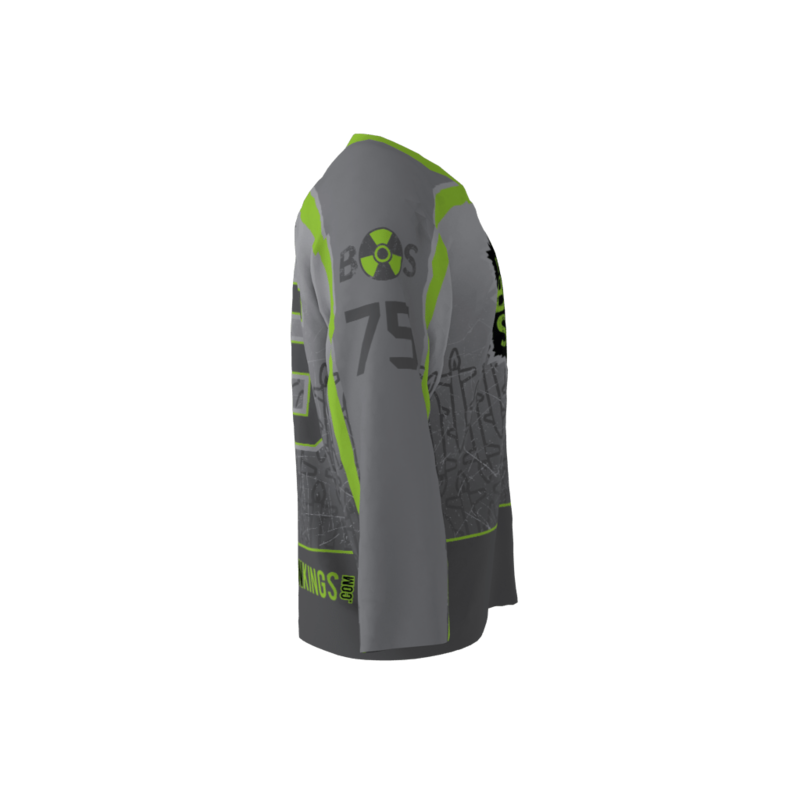 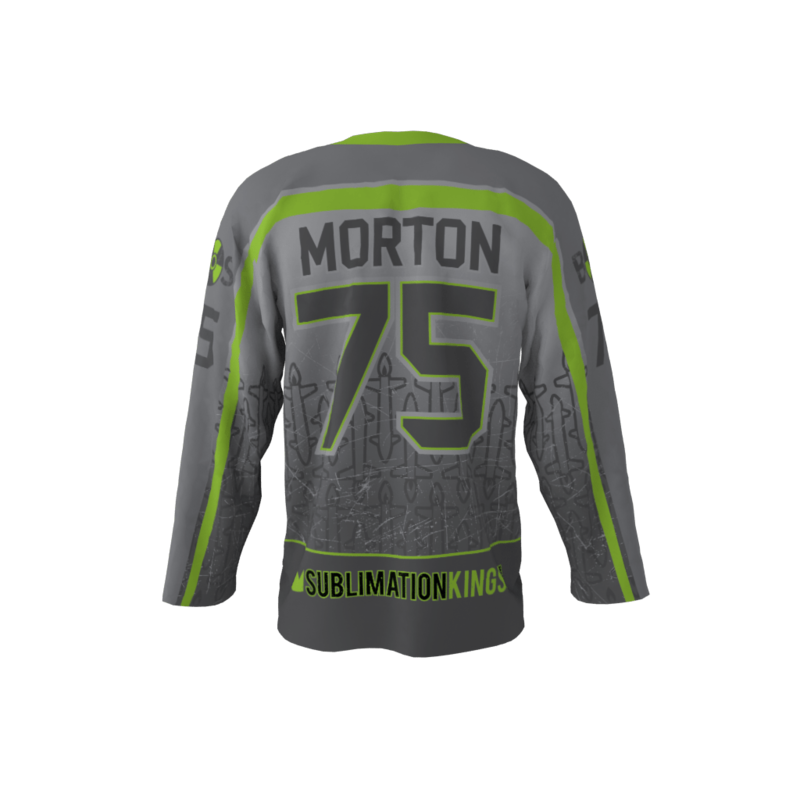 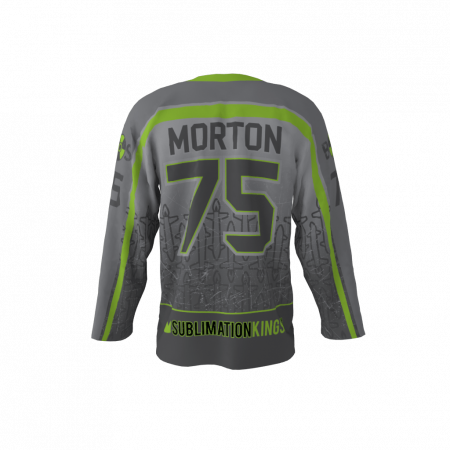 Custom roller hockey jersey design which consists of lime green and shades of gray/black. There is a slight military theme being mimicked here with the bombs/stars/medals/ranks. Some texturing has been applied to give it that radioactive feel.